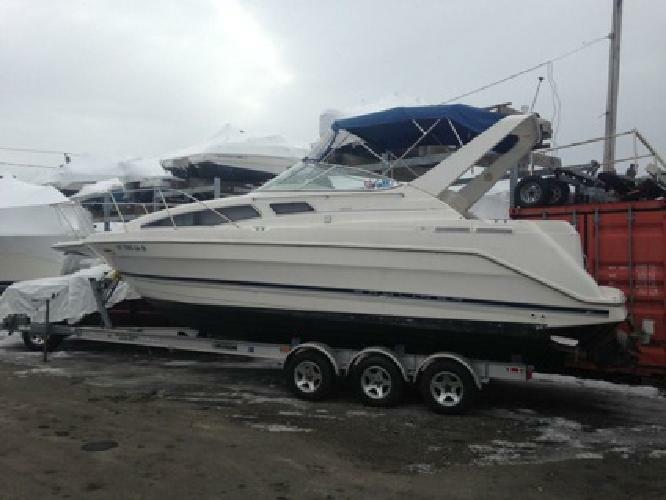 Excellent - Bayliner - Included TrailerWe just replaced the starter and fuel pump. She runs but we can't run on water yet because of weather. Engine Make: Mercury EngineType: cruiser Engine Model: 454 mpiLength (feet): 28 Primary Fuel Type: GasBeam (feet): 9.5 Fuel Capacity: 76 - 100 GallonsHull will shine up excellent. Cabin is great will look excellent when cleaned for season. Included trailer.